Key Development: U.S. indictment of three employees at a Swiss bank shows continuing drive by Justice Department, attorneys say. Potential Impact: Those who help taxpayers hide assets overseas should expect U.S. government to take action. Next Steps: It remains to be seen how those indicted will respond. The U.S. indictment of three men employed by a Swiss government-owned bank shows that the Department of Justice is continuing to go after those who seek to help U.S. taxpayers hide assets overseas--including smaller banks and accounts, attorneys told BNA in a series of interviews. On Dec. 19, DOJ charged three former client advisers at the bank--Stephan Fellman, Otto Huppi, and Christof Reist--with conspiring with U.S. taxpayer clients and others to hide more than $420 million in offshore accounts and associated income from the Internal Revenue Service (244 DTR K-5, 12/20/12). The indictment came just two weeks before Swiss bank Wegelin separately pleaded guilty to conspiring with U.S. taxpayers and others to hide more than $1.2 billion in secret Swiss bank accounts and the income generated in those accounts (see related story in this issue). Also speaking to BNA Dec. 28, Scott D. Michel, president of Caplin & Drysdale in Washington, said the indictment shows that the U.S. government is ramping up its efforts to track down overseas accounts in numerous ways and that taxpayers should not feel safe merely because their accounts are in banks that have no formal presence in the United States. Prosecutors filed the indictment of the three individuals in the U.S. District Court for the Southern District of New York (244 DTR K-5, 12/20/12), the same court where Wegelin pleaded guilty Jan. 3. The plea agreement in the Wegelin case was dated Dec. 3, 2012. Although the bank where Fellman, Huppi, and Reist worked was not identified in the indictment, sources indicated it likely is Zurich Cantonal Bank--known in German as Zurcher Kantonalbank, or ZKB. The bank is wholly owned by the “canton” of Zurich. According to the indictment, the three men opened and managed undeclared accounts for U.S. taxpayers at the bank where they worked using code names such as “Raincity” and “Kakeykat,” or in the names of sham corporate entities, to help conceal ownership of the accounts. Skarlatos told BNA Dec. 28 that DOJ is upset at the idea of smaller banks telling U.S. clients they are safe locations to conceal assets after U.S. prosecutors went after Swiss banking giant UBS. In the case of the Dec. 19 indictment, “The Department of Justice took that personally,” he said. He stressed that U.S. taxpayers should not assume that their accounts will not be found even if a bank promotes the idea that it has no contact with the United States. “When you have a U.S. person, there's always going to be some contact with the United States,” Skarlatos said. As part of the indictment, the Justice Department said Huppi traveled to the United States to meet with clients at a hotel in Newark, N.J., to set up undeclared accounts. DOJ asserted that Huppi and others provided their U.S. clients access to their funds by mailing them checks drawn on a correspondent account maintained by the Swiss bank at a financial institution in New York City. Caplin's Michel said the indictment makes it clear that IRS is continuing to “mine” the information it is getting through the voluntary disclosure program in order to identify tax evasion efforts by banks as well as individuals. Michel also said DOJ is angered at the efforts of smaller banks to market themselves as safe from prosecution in order to get taxpayers to move their funds, with the goal being concealment of the assets from IRS. 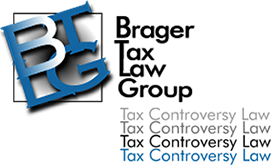 Speaking to BNA Dec. 27, Dennis Brager of the Brager Tax Law Group in Los Angeles echoed the warning that the U.S. government's reach is broad, and said investigations in other countries are ongoing. He said employees at foreign banks who are prosecuted for enabling the hiding of U.S. assets may turn out to be valuable sources of information for IRS. Copyright 2013,The Bureau of National Affairs, Inc.
Click here to see a PDF version of the article.